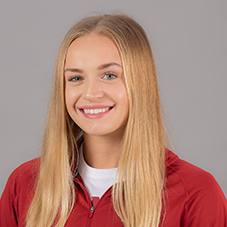 Recorded three personal-bests while two came in the SEC Championship one in the 50 Free (23.31), and the 200 Free (1:49.57), the other coming in the Art Adamson Invite in the 100 Free (50.82) … contributed to the fifth best time on Arkansas’ all-time performers list in the 200-medley relay (1:40.05) … won the 50 free (24.11) at the Kansas meet. Clocked three lifetime bests on the season, two at the SEC Championships in the 50 free (23.67) and 100 free (51.40), while the other came at the Georgia Tech Invitational in the 200 free (1:51.29). Set season and lifetime bests in three events at the 2016 SEC Championships in the 50 free (23.79), 100 free (51.94) and 200 free (1:51.74) … finished 17th at the Rice Invite with a season and lifetime best in the 100 fly (1:01.90) … qualified for the Canadian Olympic Trials in April. Attended Northern Secondary School in Toronto, Canada … swam for North York Aquatic Club in Toronto under club coach Murray Drudge … competed at the 2014 Orlando Grand Prix with Swim Ontario. Born Aug. 10, 1997 … daughter of Rick Russell and Andrea Michailoff … has one older sibling, Evan … majoring in psychology, minor in social work.